In 2009, the Texas Board of Pardon and Paroles recommended clemency for Robert Lee Thompson, who also had been convicted and sentenced to death under the law of parties. 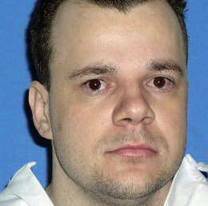 Governor Rick Perry rejected the recommendation and Thompson was executed. A bill was introduced in the 2017 legislative session to make those convicted of capital murder under the law of parties ineligible for the death penalty, but the bill did not pass. (J. McCullough, "Texas district attorney who prosecuted Jeff Wood now wants him off death row," The Texas Tribune, December 7, 2017.) Read District Attorney Wilke's letter here. See Arbitrariness and Clemency.